If you have any questions or want to enquire about dates, use our form to contact Isabelle & Koen Sileghem or see their website for more information. Drive through the narrow arch into the vast courtyard and history leaps out to grab you. This was originally a fortified stronghold – the tower is 13th century – to protect against English reprisals after Duke William of Normandy conquered England…. exposed timbers and limestone floors announce the Norman heritage. Each courtyard building houses eight to ten rooms. One amazing suite has stone steps down to a double bedroom then up a spiral stair to a children’s room in the tower with tiny windows. Handsome, solid furniture combines with pieces that are plainer, and rustic-medieval is the look: a butter churn in the corridor, an awe-inspiring armoire, a well-worn kneading trough: reminders that this was a working farm. Off the huge breakfast room and restaurant is a vaulted, stone-flagged sitting area with a log fire at one end: great spot for after-dinner coffee. The bright breakfast room and terrace face south to catch the morning sun. Young, friendly, professional Isabelle Sileghem and her husband keep this place humming, with help from a devoted staff. It’s big and rooms vary: book ahead for the best. Breakfast €12. Lunch €24. Dinner €30.80-€42.80. Wine €15-€40. Restaurant closed 3-25 January. Singles €70-€215. Extra bed/sofabed available €28 per person per night. La Ferme de la Ranconniere sets the standard for accommodation in Normandy, and it sets the bar high. Set in the peaceful village of Crepon, around 20km from Caen, its luxurious, well appointed rooms and friendly and helpful staff make for a stress-free holiday. The breakfast and evening meals are diverse and expertly prepared, using an array of local ingredients and delicacies. There's also a tennis court on site, a children's play area and you can hire bicycles from reception. 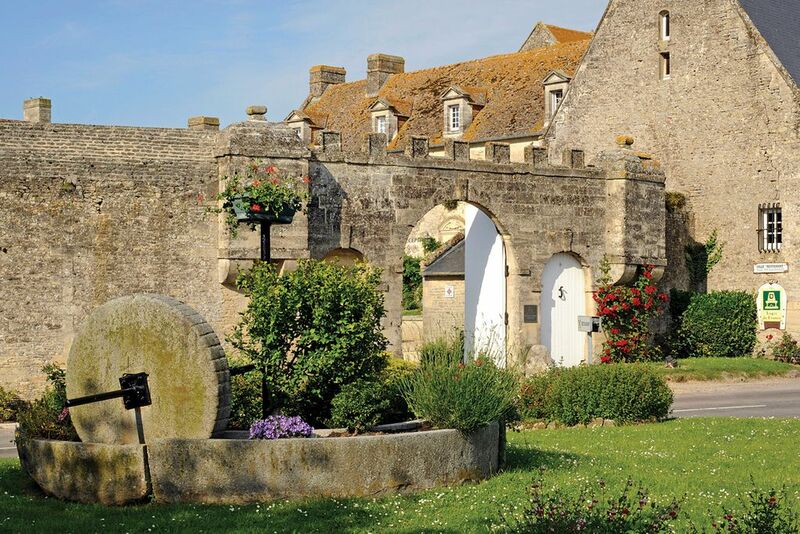 La Ferme de last Ranconniere is also very close to the D-Day beaches and other historic sites. Highly recommended. We stayed in a suite,room 14 in the main building.The setting is stunning,the hotel is amazing,our room was very impressive.The food in the restaurant is Michelin star worthy.Lovely bar with a roaring fire for aperitifs.Beautiful outside spaces for drinks if the weather is kind.The staff are very attentive.Excellently priced wine list.great for a stopover from Caen ferry port but equally as good for a weeks stay.this hotel deserves 5 stars. We will definitely visit again and again.Close to all the D-Day sights and the Bayeux Tapestry.book this hotel,you will not be disappointed.